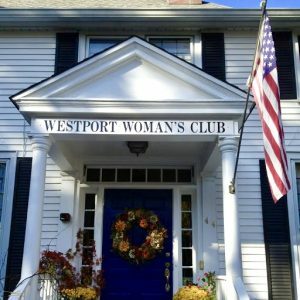 The Westport Woman’s Club is accepting grant proposals for 2018-2019 from Fairfield County non-profit organizations. Proposals are being accepted until Wednesday, October 31, 2018. Grant Application Form. Grant requests for projects that will make a continuing difference in the community may be in the form of funds, or a one-time use of the Westport Woman’s Clubhouse for an event. Grants are considered each year to deserving organizations in education, health and safety-related programs and in the arts. Last year the Westport Woman’s Club awarded community service grants to 26 Fairfield County non-profit organizations. Community groups should submit their proposals by October 31, 2018 to the following address: Westport Woman’s Club, Attention: Community Service Grant, 44 Imperial Avenue, Westport, CT 06880. You may also visit our Community Services Page for an overview of our grants and other charitable giving. There is a printable Grant Application Form located there in the right column as well. For additional information, contact the WWC Office at 203-227-4240.